Escorts gained 6% to Rs 679, recovering 8% from its intra-day low of Rs 627 on BSE after the company reported 33% year on year (Y-o-Y) growth in net profit to Rs 63 crore for the quarter ended June 2017 (Q1FY18). The company had profit of Rs 47 crore in quarter ended June 2016 (Q1FY17). Turnover during the quarter under review increased 11.4% to Rs 1,163 crore on YoY basis. 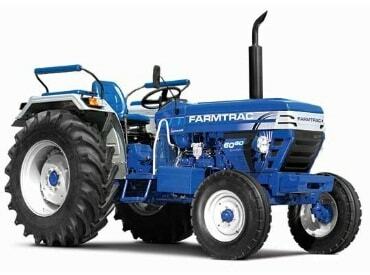 “Tractor volumes increased by 7.3% to 17,561 units, while construction equipment volumes up 20% at 886 units, over the previous year quarter.,” Escorts said in a press release. The EBITDA (earnings before interest, taxes, depreciation, and amortization) margin sequentially up by 126 bps, it added. “Government’s renewed focus on farm mechanisation and smart city infrastructure has provided positive momentum to the industry, resulting in to an upward trend in market demand,” said Rajan Nanda, Chairman of Escorts. At 12:09 pm; the stock was up 4.4% at Rs 670 on BSE, as compared to 0.49% decline in the S&P BSE Sensex. The trading volumes on the counter more than doubled with a combined 3.11 million shares changed hands on BSE and NSE so far.